National Party spokesman on energy and resources Jonathan Young said yesterday the assertion by Infrastructure Minister Shane Jones that the ban on oil and gas exploration is “irreversible” is incorrect and misleading. “Not only was his Government’s ban on oil and gas exploration made without any consultation, without a cost-benefit analysis and without going through Cabinet, Mr Jones today [yesterday] claimed that it is also ‘irreversible’. That is not true. 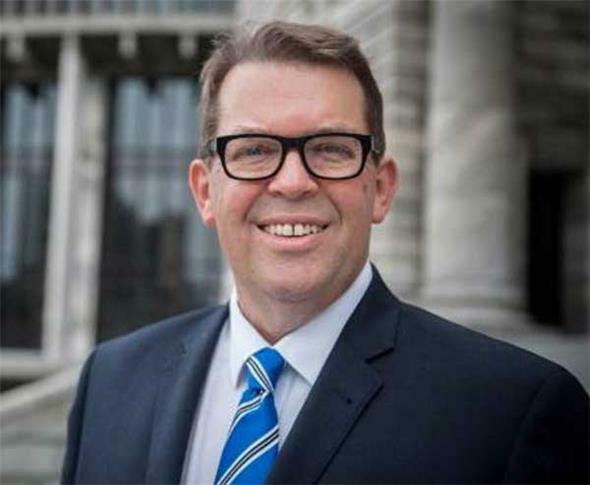 “National has already assured the hardworking people of Taranaki, and rest of New Zealand, that if elected in 2020 we will reverse the decision to end oil and gas exploration,” Young said. Significant negative economic ramifications of the ban was demonstrated this week when ASB dropped Taranaki to the bottom of its regional economic scoreboard, indicating that it will only get worse. “And as advice from MBIE has shown, the ban will not reduce carbon emissions and is in fact more likely to increase global emissions,” Young said. He said Jones’ “false claim” was another example of the Government’s shambolic approach to its decision to end oil and gas exploration. It also appears to be attempting to take the issue off the table as an area of debate going forward. “While National pledges to reverse the ill-thought out ban in 2020, we encourage the Government to re-evaluate their decision now, in light of official advice that it will not result in lower carbon emissions. Reversing the ban will provide much-needed certainty to regional NZ and prevent the drying up of oil and gas investment in the short to long term. “If the Government can make a decision based on a vibe, then it can surely reverse a decision based on facts and official advice,” Young added. National’s energy spokesman Jonathan Young.